Most people want to separate their work environment from their home, but most people are not Steve Cohen. Cohen, his wife, and two children live in the Waldorf Towers in the same suite where he works, inviting over 200 strangers in every weekend. 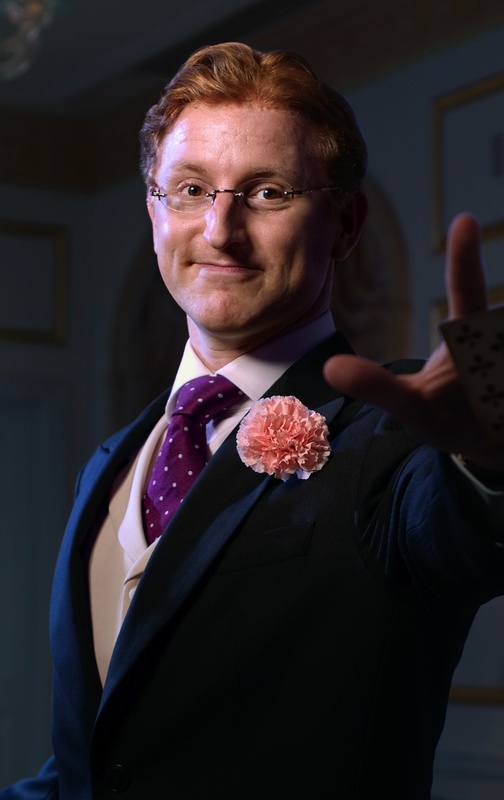 Cohen is known as the Millionaires’ Magician, and he performs his acclaimed show, Chamber Magic, five times a weekend in his residential suite. Yet Cohen’s is drastically different from the popular magic acts found in Las Vegas; he performs in front of no more than 50 people at a time, with close-up tricks steeped in Vaudeville culture. And he’s made it into a multi-million-dollar business. Cohen looks the part of a Waldorf resident. Dressed in tails with a yellow vest and thick-knotted necktie, Cohen, 40, not only appears dapper, but as if he’s not of this period. Even without him admitting so, it’s clear from his act that he has an affinity for old world style. Audiences of Chamber Magic are required to wear cocktail party attire (don’t even think about wearing jeans). Between the formal dress of the audience and the performer, the elegance of the setting, and Cohen’s charming delivery, Chamber Magic transports to a much older era. Yet Cohen delivers with boyish wonderment in his eyes. That look is something that has never left him. Cohen began performing magic when he was 6 years old, growing up in Chappaqua, New York. His great uncle was an amateur magician and taught him card and coin tricks. Cohen was hooked. “That’s 34 years of a lot of magic,” Cohen said. In 2001, Cohen commandeered a friend’s Greenwich Village apartment a few nights a week for one of the first iterations of Chamber Magic. This engagement didn’t last long, however; the friend’s wife got tired of constantly rearranging the furniture for Cohen’s magic shows. So it was off to the National Arts Club in Gramercy Park, where Cohen performed for a few months. It was there that Cohen made connections that lead to the Waldorf and it wasn’t long until he took up his current residency. VIDEO: Steve Cohen talks about wooing his wife with magic, and one of his biggest fans—Stephen Sondheim. The tricks seen in Chamber Magic are basic. There is minimal set up to the trick, and that’s what makes the results so incredible—that what you’ve seen is so simple, yet it defies logic. For one of his classic tricks, Cohen collects three unique wedding rings from audience members, swishes them around in a wine glass for a few seconds, and suddenly, the three bands are interlocked like a chain. He clenches the linked rings in his fist and lets them drop out one by one, unattached once again. If that sounds impossible, Cohen has been able to turn the toughest of critics into believers. While earning his undergraduate degree at Cornell University, Cohen received an invite from famed astrophysicist Carl Sagan to perform for a group of colleagues at the university’s Space and Science Center. “Talk about people who are logical and practical; it doesn’t get any more so than a physicist,” Cohen said of the experience. Yet he won them over, garnering a standing ovation. Cohen notes it as one of the highlights of his career. So what’s next for the man who has stumped the likes of Woody and Sondheim? Where is there to go once you’ve secured a permanent gig at the Waldorf (and residence there, to boot)? In January, Cohen will accomplish one of his dreams when he performs at Carnegie Hall. The evening, entitled “Theater of Wonder,” will be a compilation of Cohen’s favorite tricks, rewritten for a larger audience of approximately 300. Cohen even has a TV special in the pipeline. Yet for the man who has made over a quarter of a million jaws drop with his magic tricks, what is it that amazes him? “The most amazing thing ever was seeing my children being born. I think there’s nothing more magical than that,” Cohen said. “That’s the moment you ask the questions: why and how. Not knowing the answers is very unsettling.” Well Steve, now you know how your audience feels. What do you think of Steve Cohen’s magic act, Rushers? Are you a skeptic of his conjuring or a believer? Do you think Cohen’s biggest trick was managing to score a residence at the Waldorf Towers? While you ponder those questions in the comments below, tune into this week’s episode of Stage Rush TV, in which Cohen performs a logic-defying trick! Trust me, you won’t want to miss it.